Powered by ATI Radeon™ X1050 GPU, HIS X1050 series is Vista™ Premium Certified and fully support Microsoft’s new 3D based operating system. Combining with the SmartShader™ & SmoothVision™ technologies, HIS X1050 series is delivering excellent image quality and processing power. 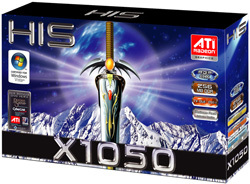 HIS X1050 series is providing the most affordable Vista™ Premium Solution for 3D gaming, digital photo editing and incredible DVD playback quality. 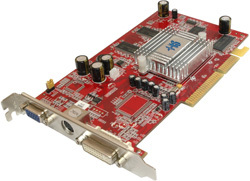 Based on the PCI Express x16 lane bus, HIS X1050 will be the most ideal choice for budget conscious consumers and the perfect upgrade solution from integrated graphics.